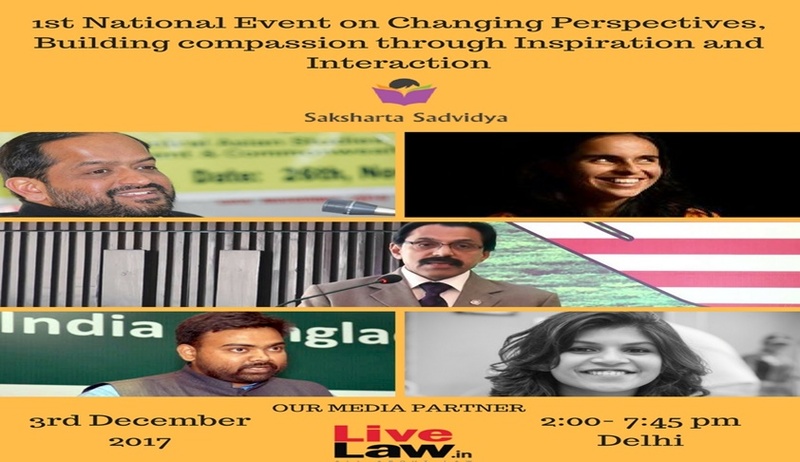 Sadvidya is an initiative by the students of National Law University Odisha, striving to fulfill the void by providing quality education to young and talented students who aspire to achieve larger goals in life. Sadvidya aspires to start legal-aid centres to help people in distress and provide them with legal help and advice. The National Event is envisioned to come up with solutions via discussion with great social reformers, who have brought about significant changes in the social status of human race in the country and to guide the young minds or more aptly the future of the nation to develop a better society. The event is scheduled to take place on 3rd December 2017, from 2:00 PM to 7:45 PM in New Delhi. All the attendees shall be given a participation certificate and high tea with the speakers. Queries can be directed to Priyam Jain +91-9437705584, Kirtika Goyal: +91-9458957134, or to sakshartasadvidya@gmail.com.